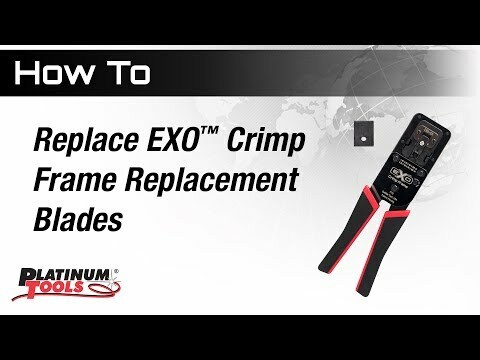 The patented EXO Crimp Frame® with EXO-EX Die™ was developed to terminate larger cables and conductors (typically Cat6/6A). 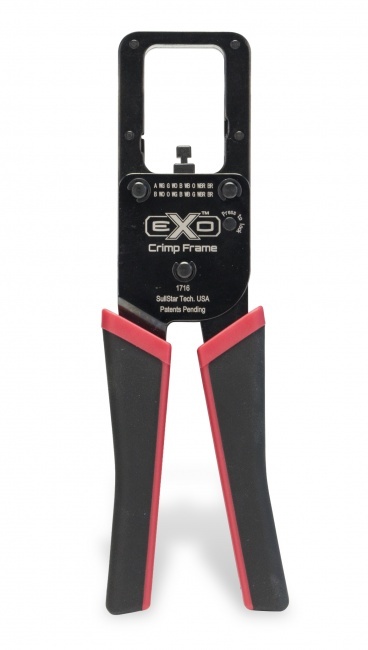 EXO Crimp Frame with EXO-EX Die™ is designed for the ezEX-RJ45® connectors. 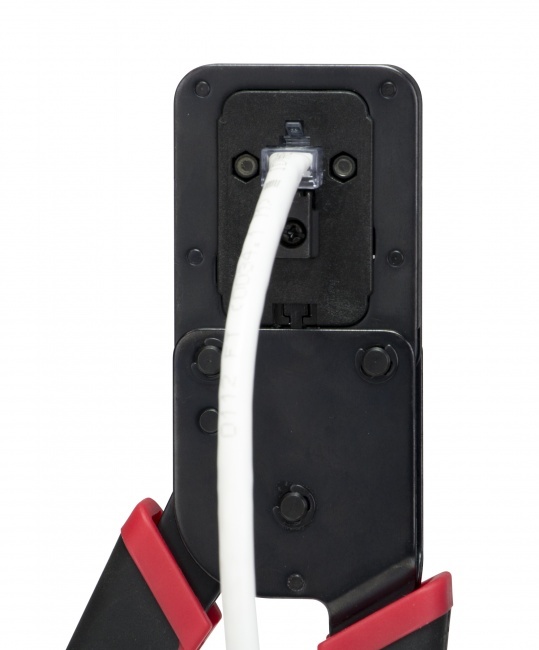 The ezEX-RJ45 connectors are an RJ45 pass through connector, developed for larger cables and conductors. Integrated Hi-Lo stagger for improved performance, one piece design pass through system. 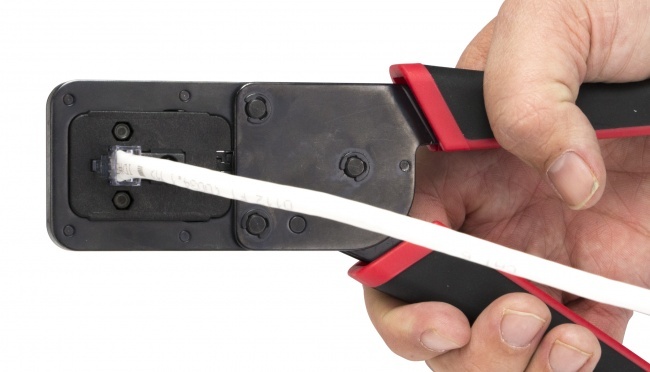 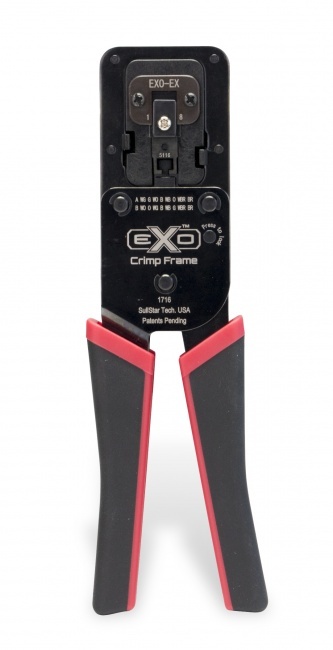 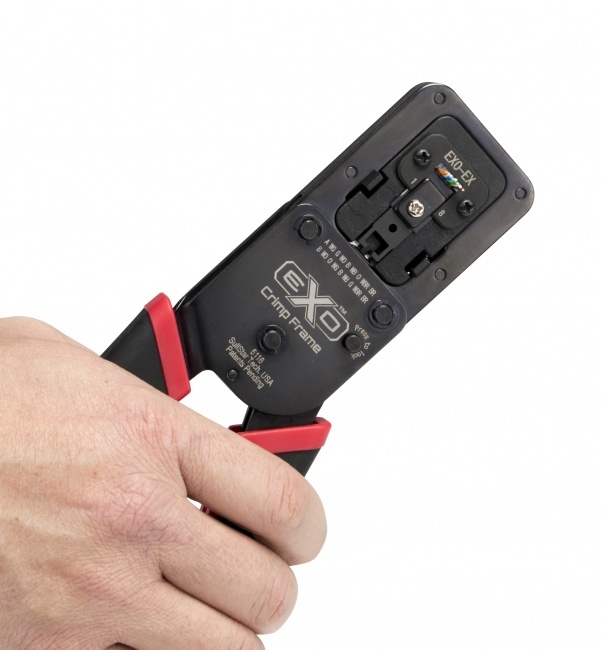 The EXO Crimp Frame has a patented push button lock, ergonomic TPR handles and works with the EZ-RJ45® Die for terminating EZ-RJ45 connectors. 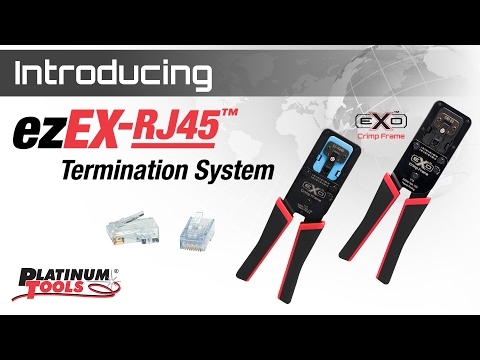 The NEW ezEX-RJ45 Termination System!